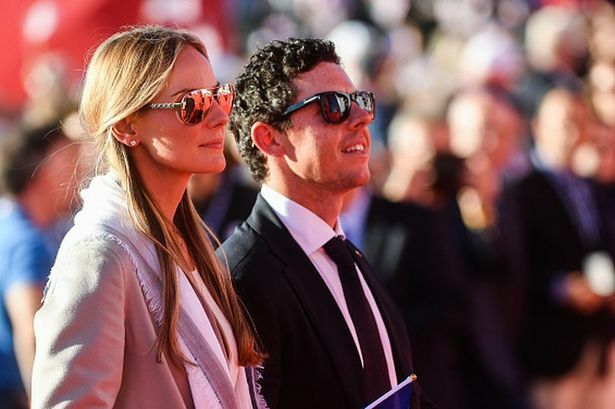 The luxurious wedding costs of top golfer Rory McIlroy and Erica Stoll may cost as much as, or exceed, €1 million, according to reports in Ireland. The wedding took place at the Ashford Castle in Cong over the weekend. The initial estimates all over the media placed it around or less than half a million Euros but the star studded even in the private hotel could very much reach a million. The destination wedding is in contention to be one of the biggest celebrity wedding, covering pages of newspapers and top websites all over the world. The owners of the chosen 13th century castle on the Galway-Mayo border spent a reported €47 million on facelift two years ago as they incorporated a pool, a cinema and a spa. The hotel has been receiving accolades of recent as one of the top hotels in Ireland. The choice of the venue would surely drive more curiosity from tourists, withMcIlroy as a global brand. Tourism is such a big deal in Ireland. It is worth about €8 billion annually to the nation and employs hundreds of thousands of people. An estimated €385 million was spent last year in advertising costs. The exposure from the McIlroy-Stoll wedding could rake in substantial benefits. The Irish Tourist Industry Confederation (ITIC) is grateful for the coverage the event is giving the nation. The people at Hollywood Golf Club in Northern Ireland even have a part filled with McIlroy memorabilia, tagged ‘Rory Room.’ The player honed his skills there and has gone on to be a >success in the game. Multiple brands were in attendance at the star-studded event. Ed Sheeran, Chris Martin, Niall Horan and Stevie Wonder were present at the ceremony while top golfers Sergio Garcia and Padraig Harrington were also around. After his honeymoon, Rory is expected to return to golfing action.